This office building on Bower St in Napier sold for $1 million. Hawke's Bay's residential property market is one of the most buoyant in the country but the province's commercial property market also provides opportunities for investors looking for relatively affordable investments outside of the main centres. 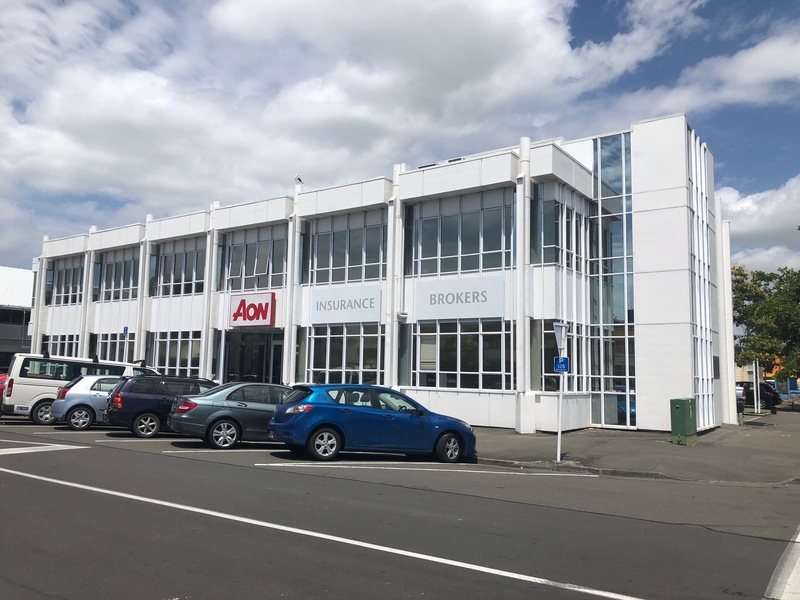 Recent sales in Napier included a two level office building (above) just outside of the city's main retail precinct, and a suburban retail premises leased to a bank (left). Both sold for around $1 million each, about the same price as an average house in Auckland. The office building on Bower St in Napier's CBD had a floor area of 540 square metres over two levels and was on a 383 square metre site with six car parks. The ground floor was leased to insurance brokers Aon with a law firm leasing the upper floor. Colliers commercial broker Dan Walker who handled the sale, said both leases did not have long to run until they expired with both tenants indicating they would be happy to renew, and the property was sold to a local investor. But Walker said an unexpected problem arose with a weathertightness issue after the contract had been signed and discussions between the buyer and the vendor and tenants ensued. The issue was resolved when it was agreed that the purchase price would be reduced to $1 million and the new owner would replace the roof. That pushed the net rental yield up from 7.17% under the original contract to 8.17% under the amended contract. Walker also handled the sale of 276 Gloucester St in suburban Taradale's main retail strip. Vacancy rates in Taradale are reasonably low, with probably only one of two shops a year becoming vacant and they usually get leased to new tenants fairly readily, he said. The property that sold was a 194 square metre retail premises leased to ASB for four years from October 2018. It was sold to a local farmer for $1.08 million, giving the new owner a net rental yield of 6.31%. Details of a wide range of commercial property sales from around the country, with photographs and descriptions of the properties concerned and their selling prices, are available on our Commercial Property Sales page. The comment stream on this story is now closed. And the economy here in Napier is going great with and influx of Aucklanders relocating for well priced residential properties and tremendous weather. Tourism is looking great and the rural economy solid.